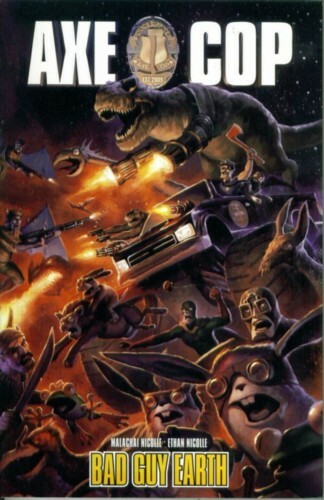 Now Axe Cop and Dinosaur Soldier are being treated like bad guys, not only by the police, but by the president and the army, too! But when a pair of psychic brothers barge in from outer space and turn the army into bad guys, who gets the call to set things right? Axe Cop!